The Denver man at the center of the Queens terror raids had a video of subways near Grand Central terminal, investigators said Wednesday -- but officials note the video so-far appears to be more of a sightseeing tape than any sort of surveillance reel. The existence of this cell-phone video, coupled with the discovery of nine knapsacks and a bomb-making formula on a computer, is in part why some New York investigators were initially concerned that New York's rail system could be a possible target. But numerous other high ranking officials tell NBC New York there is no evidence of any plot. These officials said that already high security levels across New York area rail stations have not changed as a result of this investigation. Officials stress if there was any credible evidence of any plot, a public terror warning would have been made. The Denver man, Najibullah Zazi, continues to deny any wrongdoing. He agreed to be questioned by the FBI for eight and half hours Wednesday after federal agents raided his Colorado home. One agent wearing protective clothing escorted a dog belonging to the Bureau of Alcohol, Tobacco, Firearms and Explosives into Zazi's apartment. Another wore a shirt with the words "FBI Evidence Response Team'' on it. Other agents wearing FBI jackets stood outside the building along with Arapahoe County sheriff's deputies. Zazi is scheduled to meet with investigators again on Thursday. His lawyer said Zazi complied with a subpoena to give DNA, fingerprint and handwriting samples. He added Zazi's family members have also been subpoenaed to submit fingerprints. "I have no doubt about my client's innocence. Nothing that I've heard, nothing that I've seen, other than unsubstantiated rumors, tends to give any indication of guilt," said attorney Arthur Folsom. 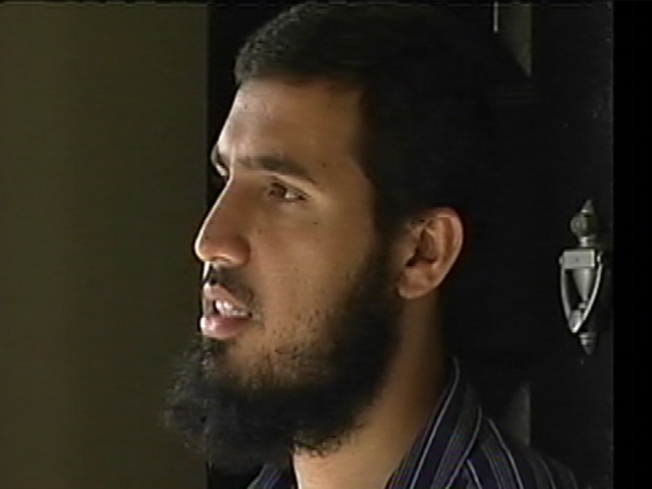 Security officials have said they were concerned that Zazi, an Afghan national, had been in touch with extremists overseas with ties to al-Qaeda. When Zazi traveled from Denver to New York in a rental car to meet with several men in the Flushing community, investigators grew concerned about his movements. They decided to conduct the raids Monday morning. No arrests were made and no bomb-making materials were found. The FBI searched two homes in the Denver area. Officials said no bomb making materials found in those searches either. Investigators continue to pour over documents and other materials from the searches. Investigators said they continue to look into several men in both the Denver and New York areas with ties to Zazi -- but they say no significant terror connections have been found.